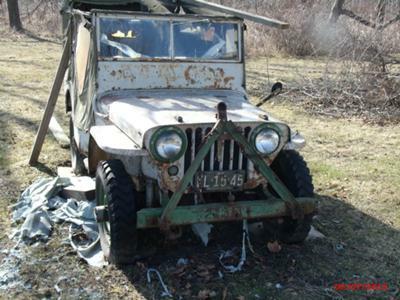 This Jeep started out in Hillman, Michigan and was the first Jeep to be sold in that area of Michigan. It was purchased new by a man that my Uncle Louie Smith worked for near Hillman. My Grandfather, Harold Smith also new this person (Last name was Gumps and he owned some type of horse farm near Hillman). At some point Harold bought the Jeep from Gumps and kept it at his cottage on Lake Avalon in Hillman, MI. My dad, Gilbert O'Dell bought it in 1960 from my Grandfather and has owned it ever since. He has finaly told me that I can have this Jeep and I am looking forward to getting it back on the road again! 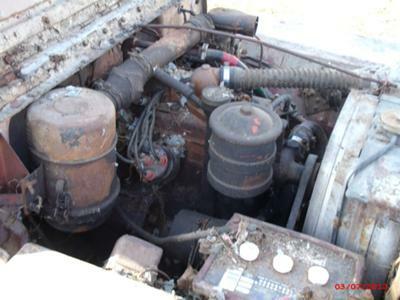 Larry's Comment: Mike...that CJ2A looks like it is in pretty good condition, and will make for a good restoration project. Keep us up-to-date on your progress. I would be sooo happy to have that handed-down to me! Looks like it's not in bad shape for its age. Love it! Mine is under the Jeep Girls section of this website as "My 1st Jeep With All the Goodies" ('85 CJ7). It's going through its own little "resto"! Just a major tune-up and fresh paint! Getting it ready for the Bantam Jeep Festival since it's only about 40 miles from where I live. Please do keep progress pics if you can. Looking forward to seeing the finished product! I have done a little fixing up of a 1987 Toyota Corolla, which has suffered from almost total neglect. I found it to be a hole to throw money and time into. With 41 more years on your Jeep, Methinks you might find yourself in the same situation. You probably already know this, so enjoy! I learned to drive in a 1947 Willys in my uncles field. You had to double clutch it. Made a life long jeeper out of me. Bought a Bantam trailer cheap to restore and soon thought, 'HEY stupid whacha gonna tow it with?'. So now I got a '48 CJ2A from Oregon. Has a solid body but needs work! Hey I got time. Here we go, YEE HAA! Join in and write your own page! It's easy to do. How? 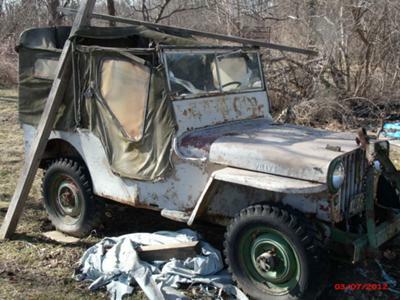 Simply click here to return to The Willys, Kaiser, AMC Jeep CJ.